belle maison: Art Inspiration + Fabulous Giveaway! 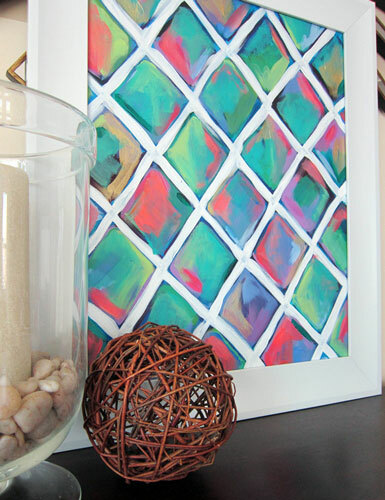 Art Inspiration + Fabulous Giveaway! November 30th - December 2nd, so mark your calenders! She's also designed a collection of rugs and bedding for the Land of Nod, which will be coming out next fall. Subscibe to Laura's fabulous blog & like her Facebook fan page. Leave a comment (PLEASE be sure to include an email address if you don't have one linked to your profile or if you're Anonymous). That's it! Good luck :) Winner will be picked at random on Monday, November 19th. Details: The winner will recieve one art print (printed on archival quality Rag Entrada paper) of the painting of their choice; it will be delivered in a mailer tube. One of Laura's paintings inspired me to create a fresh design board. 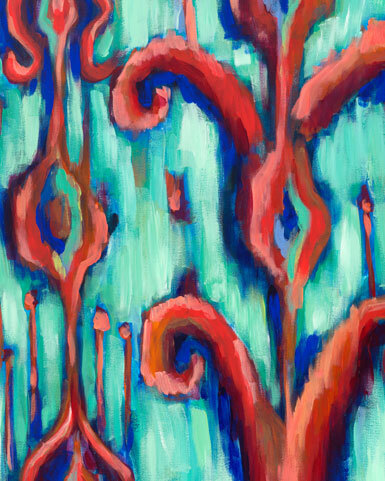 Art is a great place to start when trying to come up with a color and design scheme! Great prints! Would love to own one. WoW! Of all the blogs I follow, this has to be one of my favorite giveaways I've seen. Laura's new ikat works just kill me. They are SO, so cool. Fingers crossed! 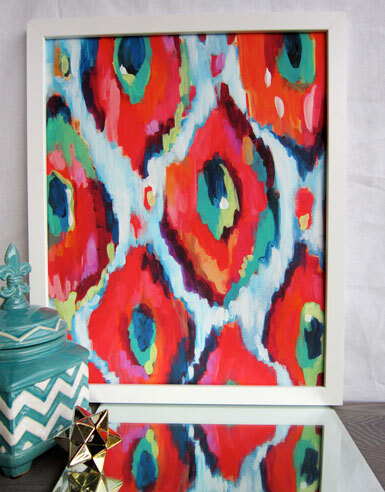 Laura has great, colorful abstract pieces. I would love to own a print! I love all of the colorful pieces! I love the Ikat prints and the bright colors in the pieces. 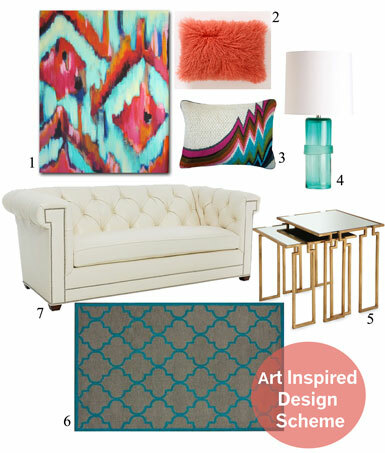 Currently redecorating my living room & Laura's art would be just the pop of color the room is lacking! Thanks for the opportunity! All of these prints are to die for!! What lovely colors and designs. I would love to have one for my house. So exciting! Her paintings are beautiful! What happy prints! I love them all! I now follow Laura's blog & Facebook page. I'd love to win! I've been following her artwork for a while! I'd love to win! Even if it's going to be really hard to pick only one out of the great artworks! Oh, wonderful! I definitely need something to warm up the walls in our guest room. I've been following Laura Dro's work for a while--I love her take on honeycomb pattern! Crossing my fingers that I win! 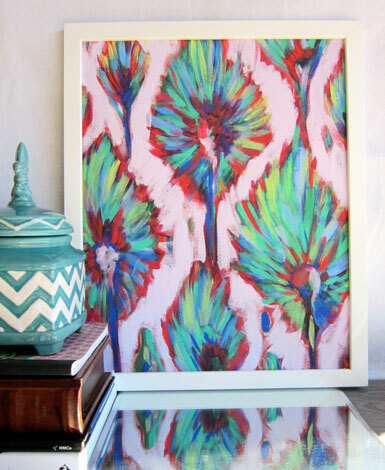 Laura Dro's prints and vibrant colors all say HAPPINESS! Thank you for featuring her work. In dire need of colorful beauty.